How can I tell them without offending? When would be the best time? The best place? The approach you use depends on the relationship you have with this person. 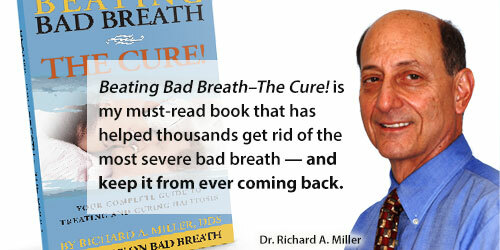 Here are six suggestions, but only you can determine the best way to approach the subject of bad breath. Approach the person with a question, not a statement. Instead of telling them that they have a problem, start by asking if they have noticed any change in their breath or taste. 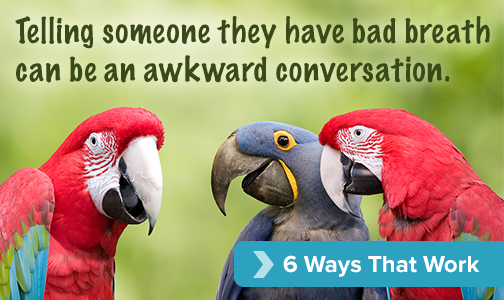 Whatever they reply, just tell them you are concerned because you’ve noticed something. Here’s the stealth approach: Buy a copy of this book, wrap it, and place it on someone’s desk that you care about. This could be a co-worker or a friend. Or, anonymously slip a copy of this book into a briefcase or purse. The truth is that no matter how you do it, it is difficult. You don’t want to hurt someone’s feelings, and they may feel they are being singled out or that people know their secret. But keep one thing in mind. 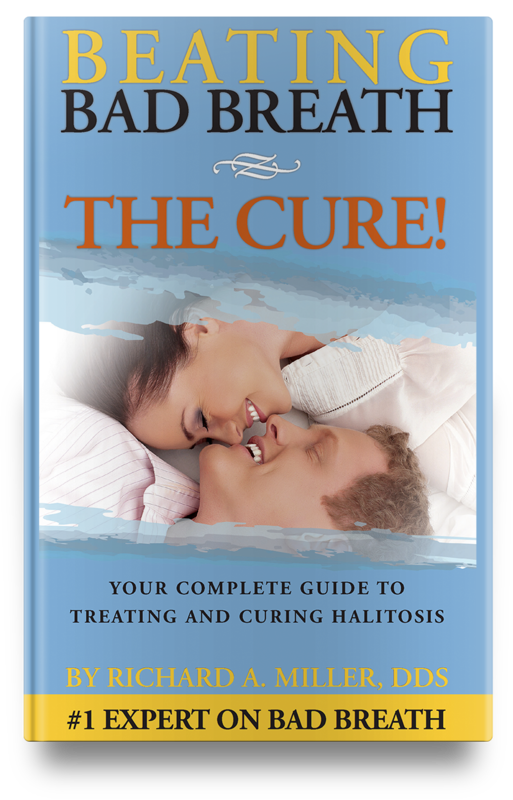 Halitosis is caused by bacteria that also cause periodontal disease, which causes people to lose teeth. And the bleeding of gingivitis or gum disease increases the inflammation in someone’s body, an inflammation that is a marker for far more serious problems. It is not just an odor. And, there is a cure that others may not know about. So, you are really doing someone a great service by giving them information that affects their health.